In mid-August Betsy and I took a day to visit with our friends Judy and Charlie at their campsite in the Cades Cove Campground. 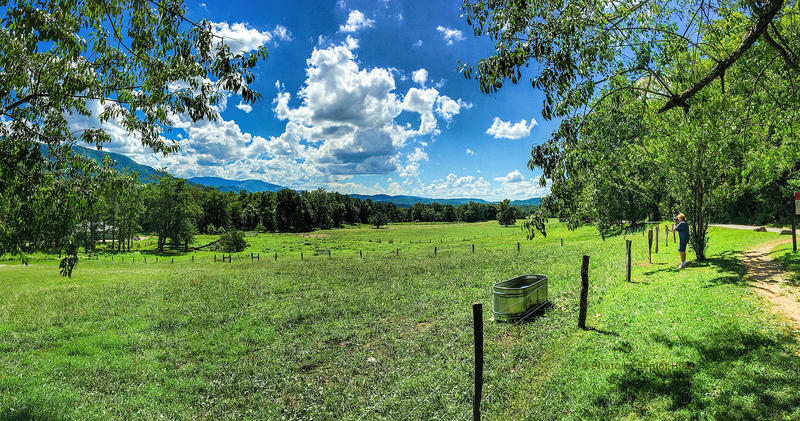 We always enjoy a visit to Cades Cove (or any other part of the Smokies as far as that is concerned!). 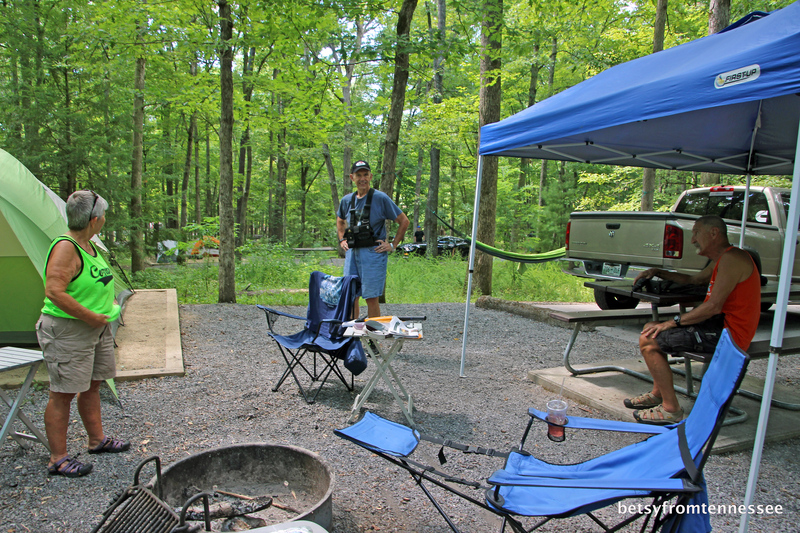 Camping at Cades Cove is an annual event for Judy and Charlie, and we try to visit with them each year. They are experienced campers and always make us feel welcome when we visit with them. 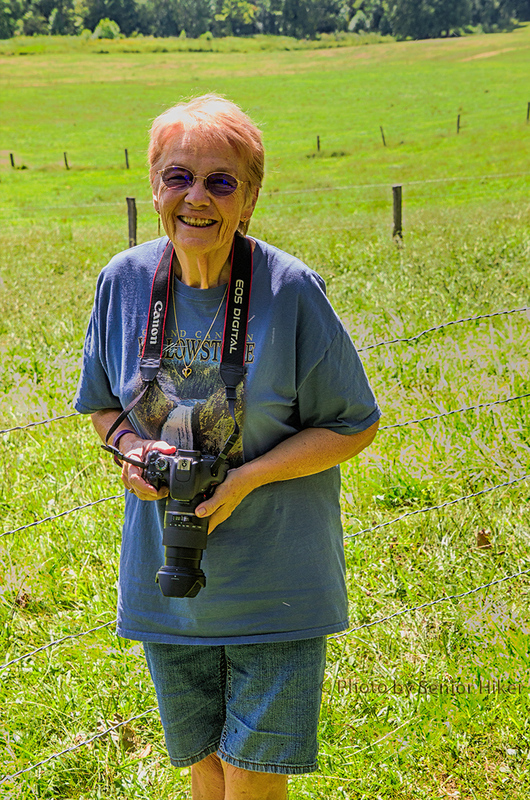 After our visit, Betsy and I drove to the beginning of the Cades Cove Loop Road. We didn’t have enough time to drive through the cove, but we could stop and get some pictures. My Beautiful Bride is always happy whenever we are in the Smokies. 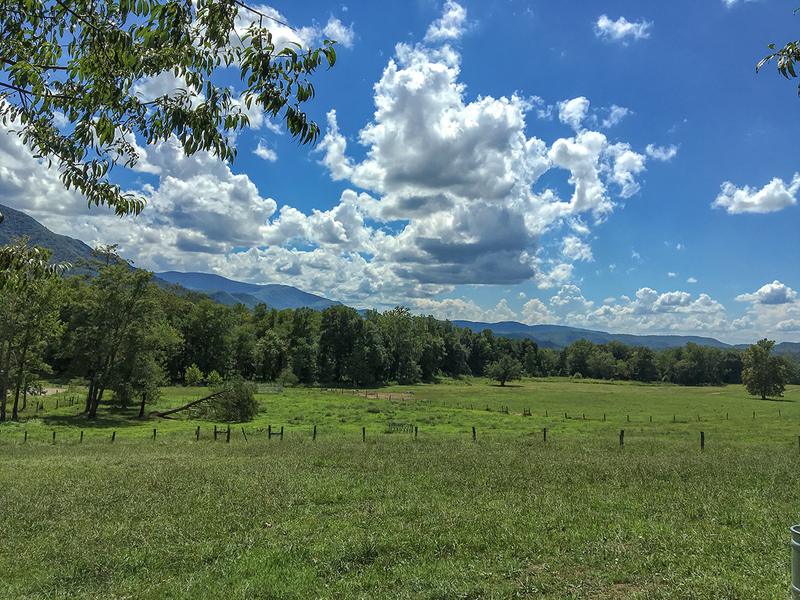 As we were heading home we stopped at the Townsend Visitor Center for one last look at our beautiful Tennessee sky and Mountains.